The following testimonials have been provided by past and present students who have studied modules in the Academy of Intuition Medicine® Online program. Academy of Intuition Medicine® Online (AIMO) study has taught me to slow down and listen and see and allow my senses and spirit to guide me. I have noticed things subtly changing. Online panels are going well. I have been learning to anchor and enjoy practicing new skills with IM exploration. The practice of new skills can be tiring and Megan and Judy are quite good at acknowledging and teaching how to take the processes slowly and add one new thing at a time. Honestly, this is a good practice for me as I have tended to always want to push ahead. I like the slower processes these days. I noticed lately how my word choices are now different when I communicate. Physio-Psychic System (PPS) Module 10 study has shown me patterns of skipping over things that are uncomfortable because I have not known how to feel them, communicate around them or to be in my honest truth in the world. Lately I observe and sit back for a bit. When it feels right I then act and speak more gently but more truthfully. My spirit has lately been giving me information related to changing how I live day to day. I feel like I am “busting out” of old conditioning. There is freedom there. As I am taking action to change things I find that I am just trusting my intuition without knowing the path ahead. I have more faith and trust in the space of letting go. For a faculty session following the Physio-Psychic System Module 10 I chose to do another session with faculty teacher, Chuck Laurenson. As you know he is incredibly thorough in following the guidance of spirit and aligning all the energetic systems. Each session that I have had with him has guided me deeply into past life healing. The connection to the emotions and patterns in the Physio-Psychic System and Spiritual Incarnation System (SIS) Module 9 – astound me. When I am finished the session I am truly amazed at the release of pain and the blockades that have been in the way of my soul embodiment. I have to laugh a bit at the old way of thinking that talk therapy is the only way to grow. It was once upon a time that I thought that…although my Spirit always knew that there was another way. Now I really know. This study has been just the beginning of my healing. It is an incredible journey. In this healing I ended my contract with my Mother. It was designed out of her neediness and my guilt and now we are both free. This has been the unleashing of burden. I feel lighter and now it is almost as if I have permission to heal in my own way. PPS through and through- the changing of my cells and the karma. And, of course, my mother contacted me- but the message came through my father as they are merged. The message was loving and kind and without expectation. More validation, in real time, that I am free to inhabit my own body with my own spirit and live my own life. Chuck taught me a new tool for grounding that I am loving. He offered that I open up every cell in my body and send a grounding cord from each to the center of the earth. It was a wonderful new feel. We then upgraded all of my systems and my metallic was upgraded from rose-gold to a bright platinum and the light at my 7th upgraded the gold with shimmering violet. We then took the new information to update my personal Akashic records. I have shared that as I have been changing through Intuition Medicine® study that I have been experiencing the physical health challenges of “healing crises”. I know that the pathogens that I am working with to heal in my body are coming as a gift. They are teaching me to be kind with myself, to be gentle and to recognize that my Spirit can move into the places in my body with light and love and not as a fight or as something to conquer. I am learning that the energies are a teaching and that how I approach the idea that I am worthy to live fully and soul embodied help me to understand how important it is to recognize my light as an asset to this life and lifetime. All of my relationships- including parents, children, husband and friends are becoming more meaningful. I have been able to begin to step away from the relationships that are toxic to me and those that trigger me I am able to change in some way. Lastly, I’d like to share that I am changing my day to day work life and schedule. I had locked myself into following my career path in the way that I thought I was “supposed to” and now I am letting go and following where Spirit is guiding me even though I don’t really know what that is. I am trusting. People are showing themselves and asking for energy work and the conversations related to spiritual growth. I am just following the lead. I cannot thank the Academy of Intuition Medicine® enough for giving me the tools I need to transform my life. Prior to enrolling at AIMO I was very easily overwhelmed with life, tending toward chronic fatigue and lethargy. After taking Healing I, I felt significantly more emotional stability and had more energy, and this area of my life has continued to improve as I have progressed to the next modules. Now, I am able to spend more time living my life’s purpose rather than just trying to “hang in there.” I am so grateful for this incredible gift. I joined the campus classes at the Sausalito campus for Module 2. As Francesca introduced more healing energies and I worked with my peers and all the TAs, I was able to relax into the curriculum a bit more. I have felt very safe engaging in energy work at this Academy because they always emphasize safety and integrity. Working with TAs and faculty, whether by phone sessions or at the Wednesday practicums, has played an important role in my integration of the materials presented in class. I then went back to AIMO because it fit better with my Acupuncture school schedule for Module 3-kundalini energy-intimidated me a bit at first. I switched back to online classes because it was more convenient for my schedule, but was unsure whether I would be able to understand/integrate the new material from a distance. However, I found the meditations to be very effective, and I was able to get support in the Q&A section of AIMO when I needed help. I also highly recommend setting up a full healing session with a faculty member to get support for deeper healing and spiritual growth. My next step is doing the online AIMO/MIM program at Module 4 onward to completion of my MIM Certification. I very much look forward to continuing this journey of practicing Intuition Medicine®! 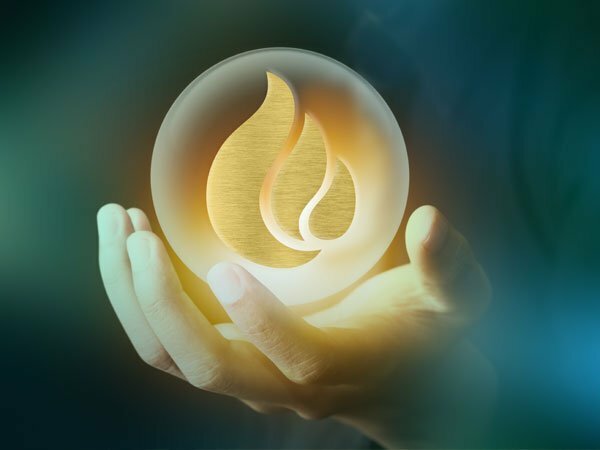 If you are wishing to integrate a new level of health and healing into your life through energy management and intuition, the Academy of Intuition Medicine On-line (AIMO) is a brilliant resource to do this. Let me share my story. I have always been a sensitive person, perceptive and creative, which has felt like a wonderful gift. On the other hand, because of my sensitive nature I have struggled at times to find my footing, very effected by the chaos around me and the demanding pace of life. I walked onto the campus of the Academy of Intuition Medicine because my daughter promised that I would benefit from studying intuition, starting with the teachings in the courses: Healing 1 and Healing 2. What she failed to tell me is that I would walk away with a body of knowledge filled with practices that would enable me to find my grounding, expand my awareness, develop my intuition and know how to protect myself as a sensitive person. Life changing? Absolutely. The next step was tricky for me. In order to continue studying after my initial courses, I had to rely on the on-line format (AIMO); I was leaving California and would no longer be able to attend the Academy. I would be lying if I told you that I was excited about this option, having been a part of the vital, supportive community at the Academy. What I want to shout out loud is that I found this to be a terrific option. The on-line program has captured the essence of the experience brilliantly and made it thoroughly possible to do this extraordinary work in an on-line format. Each Module contains superb lectures by Francesca McCartney, meditations, student questions and reflections and panels designed for healing practice work. In addition, I have used the opportunity to have a conversation with a tutor weekly and participate in panels that are created for on-line students using a Skype style technology. Speaking from my experience, I find the work challenging and inspiring, and it has enabled me to be a part of a step-by-step process that has expanded my awareness in ways that I never thought possible. Before enrolling in the Academy of Intuition Medicine(r) Online, I had some ideas and knowledge about energy medicine yet it wasn’t well formed. My desire was to dig deeper and have a much richer experience with a school that was a licensed vocational school and approved by the education bureau and provided distance learning as well as personal support as needed. I’m so grateful that I decided on AIMO. It has far exceeded my expectations and the depth of wisdom that Francesca McCartney and the TA’s share with us is above anything I’ve experienced before. I’m a highly sensitive person and learned through the first module how to protect my own energy and not give so much away. As a life coach, I’ve often felt so drained after working with clients – some days I actually wanted to hide and not deal with the floodgate of emotions I’d experience. The tools I’ve learned help me to set healthy boundaries and not take on everyone else’s emotions or energy. I still have much to learn, yet it’s comforting to me that after the first Module-Healing 1, I feel more confident in my intuitive abilities, have created healthier relationships, and feel more grounded and present every day. It’s really been a life changer and I’m experiencing authenticity in a whole new way! I’m excited to continue on this journey as my goal is to be a MIM graduate. I am soaking up everything, practicing the tools provided and living in spiritual integrity in ways that serve my highest good and the highest good of all. I feel confident knowing after I graduate, I’ll be able to support not only myself in healing, but many others as well. I love the AIMO program. Specifically, I really find it helpful that you can watch the video lessons, as many times as you need. In addition, the material and meditations are presented clearly, as well as easy to follow. I am enjoying the ability to use the meditations presented in the videos, for practice work during the week. I am grateful for this, as well as the ability to move at a pace that works for you. Everything is very well organized and it user friendly. I highly recommend.